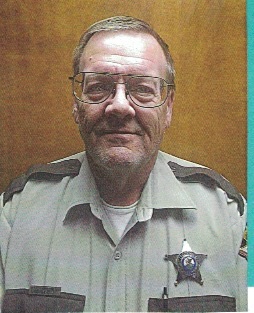 Darrell Askew of Oquawka has announced his candidacy for the office of Henderson County Sheriff. Darrell was born and raised in Keithsburg and moved to Oquawka 10 years ago. He is married and has a daughter and a granddaughter. Darrell worked 16 years for Mercer County Sheriff Office as a part time deputy; 8 years as a city Marshal for Keithsburg and has been with the Henderson County Sheriff Department for 8 years as a part time deputy. Presently he is employed as the Henderson County Courthouse Security. working with the County Board in finding better ways for better night patrol coverage; he would like to see an increase in curbing drug trafficking throughout the county; and to seek ideas and improvements for the county jail as well. He also has a desire to work with the school system to develop a better safety and security plan to ensure our children a healthy environment to be taught in. Please remember to vote March 20th, 2018.